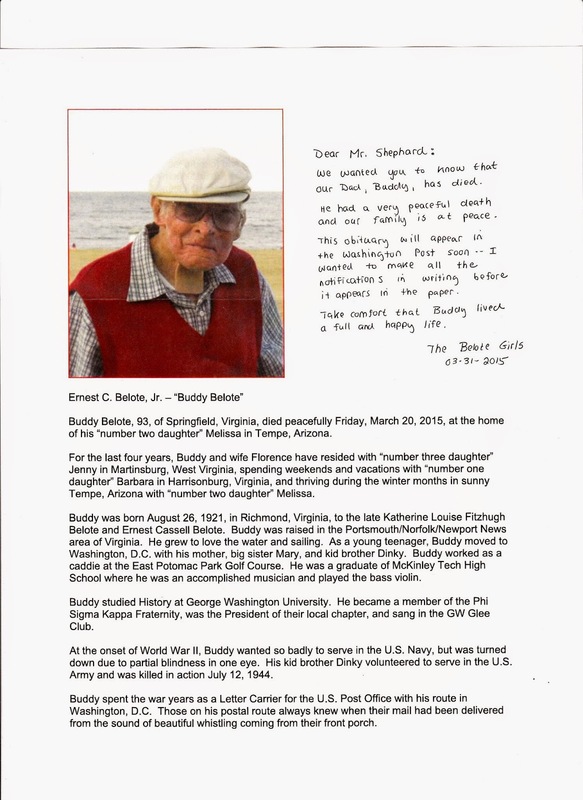 I received a letter from one of Buddy's daughters,Jennifer Yates, today with the sad news that our beloved Buddy Belote passed away on Friday, March 20, 2015. 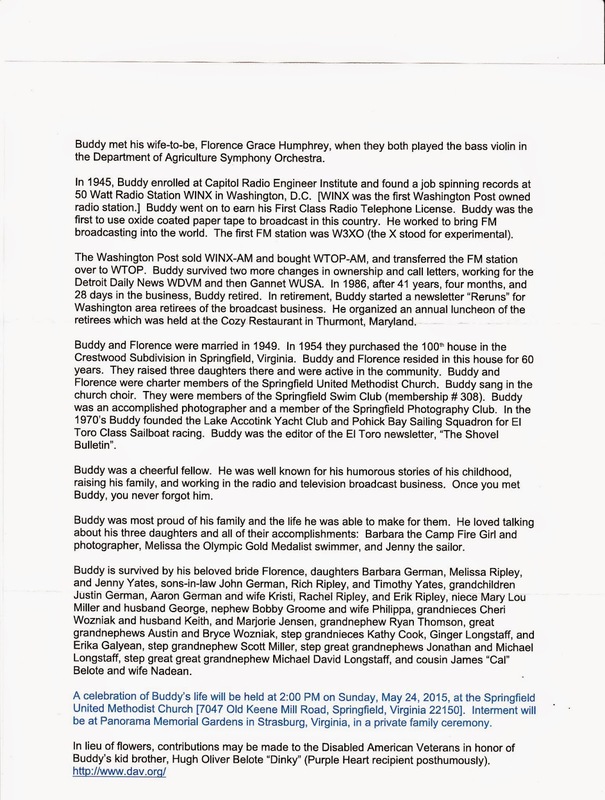 Scroll down and read her 2 page letter, then watch the 30 minute interview that Chuck Langdon and I did with Buddy in 2006. This was done less than a week or so before Buddy was diagnosed with cancer of the larynx and had his voice box removed. "Buddy" Belote - Out of the Past - 2006 from Chuck Langdon on Vimeo.